Net Entertainment is one of the biggest and most exciting gambling developers on the market, and if you have a passion for quality slot machines, there is a good chance you already know exactly what they are about. 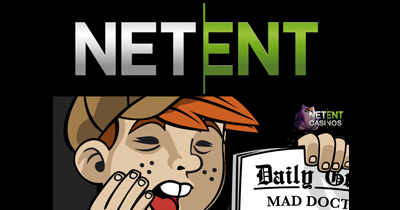 In this guide we’ll take a closer look at the brand often referred to as “Net Ent", finding out just what makes them unique, and just why they are loved by gamblers around the world. Net Entertainment feel like a new brand. It feels like their dominance of the online gambling world has only happened within the last 5 years, but they have actually been around for more than 20 years. The reason it doesn't feel like this is because it is only recently that their creations have worked their way into most online casinos, added as extras to Microgaming and Playtech casinos, and boosting the quality and quantity of the slots those casinos offer. Most casinos for real money, and free ones seem to go with either Playtech or Microgaming these days, and there is also a big share of casinos that use Realtime Gaming, BetSoft and a few other brands. The beauty of Net Entertainment is that it can operate as a sole provider and an optional extra, which means it is literally everywhere. We have reviewed the best and worst casinos that offer Net Entertainment titles, and we have compiled a list of our picks to make your choice easier. You can browse this list for yourself here, making your choice considerably easier. 1. They are listed on the stock exchange in Sweden and can be found under the ticker NET-B on the Stockholm Nasdaq. This is a sound investment by all accounts, and one that has been growing fast, so if you’re looking to get your money into online gambling (in a less riskier way) then this could be just what you are looking for. 2. They are always looking for new and exciting developments and some of their biggest titles have included slots based on rock bands, TV shows and other pop culture hits. 3. They have won countless awards for their games, with standout titles including Rolling Reel slot Gonzo’s Quest. South Park: As big fans of the TV show, this game appealed to us immediately. However, this is a worthwhile slot whether you like South Park or not. There are half a dozen features to unlock, including randomly activated features, bonus rounds, and more. Never have we seen so many features crammed into one game, and when you add some high paying symbols into the mix, this is a slot that is not to be missed. Reels of Chaos: Another South Park slot, this one is based on Professor Chaos, which is Butters’ alter ego. This is a superhero slot like no other, and is one of the best games that Net Entertainment have ever produced. The features are not as plentiful, but there are still several of these. What’s more, they seem to be more common, and the main feature, where you fight several bad guys, unlocks more money than the main features on the other South Park slot. Fisticuffs: This is a boxing-themed slot that is set some 80 years ago. It’s amusing, it’s well designed and it’s fun. There are a few unique features, including one that is unlocked when you land symbols of the two boxers alongside each other, producing several wilds and generating some big wins. Jack and the Beanstalk: A fairly average game on the surface, Jack and the Beanstalk comes alive when you unlock the main feature and make it to the top of the beanstalk. There your mission is to steal jewels from the giant and to make it out alive. Jack Hammer: This is a locked payline game, which means that whenever you land a winning payline, it locks in place and the rest of the symbols spin again. This continues until the spins stop generating wins, and it can turn small, meaningless wins into huge ones. This is a fantastic game through and through, and there is also a sequel, although we prefer the original. Punto Banco: This is a popular variant of baccarat, and this version is as polished and as smooth as you are likely to find. Don’t worry if you have never seen this game before, it’s basically the variant of baccarat that is played all over the world, so if you’ve played any number of baccarat hands, there’s a good chance you’re already primed for a game of Net Ent’s Punto Banco. Blackjack: Classic Blackjack rules are at play here and whilst the house edge is not as low as it is on a select number of Playtech and Microgaming games, it’s still very strong. The game also looks beautifully polished and it is a joy to play. Roulette: This is another Net Entertainment title that looks fantastically polished, and one that makes you feel like you’re in a glamorous casino tossing chips with the best of them. Let it Ride: This is a game you will only really find in casinos, and one that has become very popular in recent years. All major casino software has it, but the Net Ent version is the best that we have seen and the one that we would recommend the most. Red Dog: A very simple game, Red Dog is played with just three cards, with the player battling against the dealer. The rules are simple, the odds are strong, and the game is well designed. Red Dog is not as popular as it used to be in offline casinos, but this game has experienced a resurgence in the world of online gambling and there are currently versions offered by all major gambling brands. Net Entertainment doesn’t have many bad games and they tend to put a lot of effort into the games they release. However, there are a few games that are a little less interesting than others, games that we wouldn’t recommend. These include overly simple slots like Fruit Shop, Fishy Fortune and Icy Wonders, slots that just look out of place when placed next to some of Net Ent’s better creations. Quality: Net Entertainment focus on exceptional quality that you don’t always find with other gaming software developers. Their games have a polished aesthetic that is often lacking with other developers, and with Net Entertainment you know that you are getting a well-thought out, graphically advanced title, and not a rushed game released simply to keep the numbers up. Innovation: Slots like South Park and Reels of Chaos are a prime example of just how innovative this brand is, and just how committed they are to improving upon what’s already available, whilst always looking for something new. Live Dealer: Most developers have created live dealer software, but Net Entertainment is one of the best we have played. It is as polished and as beautiful as you would expect from a Net Entertainment creation, and it is also incredibly smooth and quick. Obviously, the specifics also depend a little on the casino, but with such a good foundation, it’s hard for them to go wrong. Limited: Net Entertainment is not as varied or as big as Playtech and other major gambling brands. It does produce a lot of quality games, but in terms of sheer numbers, it falls a little short. Size: Casinos that license gambling software want all-in-one packages, and it’s difficult for them to get that with Net Ent. They tend to focus on slots primarily and don’t really offer much else. This means that many licensees need to sign up with other developers and use Net Entertainment as an addition to other software. Can I Play Net Ent on my Mac? Of course you can. 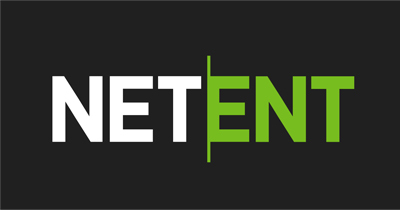 As is the case with all major gambling software, Net Ent is as compatible as they come. Developers are no longer focused 100% on the Windows operating system and know that an increasing number of users have other OS installed. They want to cater for as many players as they can simply because this is how they increase their profits, so they ensure their games can be played on most, if not all, operating systems. If you do have an issue with any casino software, then simply play it through your browser. All casinos offer browser play these days and providing you are using one of the more commonly used web browsers, such as Chrome, Firefox, Internet Explorer and Safari, then you should be okay. Can I Play Net Ent on my Mobile? As is the case with Mac compatibility, Net Entertainment and other developers are keen to be as compatible as possible, so their software is available on mobile operating systems. In fact, this is even more of a priority for them, as the number of mobile gamblers is increasing. We’re already at a point where more people are using their mobiles than are using their desktops to browse, talk and play online, and a refusal to cater for this demographic would be very reckless. All casinos that use this software should offer mobile support. This can be downloaded as an app (if you use an Android device you will need to visit the casino site directly, as gambling apps are not allowed in the Google Play Store. If you use iPhone device, you should not have much problems) or it can be played directly through your mobile browser. Either way, whatever mobile platform you use, you should not have any issues getting a Net Ent casino to work. Are There any Net Ent Casinos Available in the US? There are Net Ent casinos available in the United States, but these are not as prevalent as they are elsewhere. Software developers often frown upon their software being licensed by casinos that cater for US players, and this is one of the many issues that such casinos face. Another issue stems from the fact that financial institutions in the US refuse to facilitate online gambling, as it is they who tend to be targeted by the government. After all, the casino themselves are based outside of the US and are fully regulated in these countries, so there is nothing that can be done to stop them. As a player using these casinos, you should also be safe, although you should always check your state and local laws before playing, as the United States has a very diverse legal system, and one where one state can differ greatly from the next. It is very safe. They do all they can to ensure the safety of players by lending a helping hand to the casinos that license their products. However, in most cases your safety when playing these games will depend on the casino itself, and this is out of Net Entertainment’s hands. They do ensure that they only license their software to safe and reputable brands though, which helps to make this a more secure environment for the player. To ensure your safety, look for digital encryption certificates and other guarantees, as these should be offered by all respectable gambling brands, and failure to do so should make you very suspicious. All of the games on this software are programed by Net Ent themselves every step of the way. Unlike developers like Realtime Gaming, they do not allow their licensees to set their own house edges, which means the default payouts always remain. This is then backed-up by the auditing services that individual casinos use, services such as those provided by eCogra. These third-party auditors run regular checks on the casino, their software and their banking options to ensure that everything is safe and secure, and that the games offered provide the payouts that they claim to provide. If you know your slots then you will have heard of Net Ent, and if you appreciate quality then you will already be in love with them. 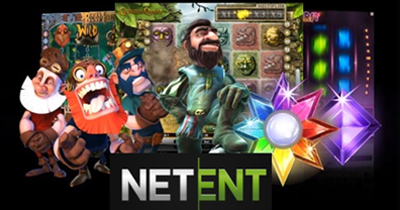 Net Ent slots can be breathtaking and as generous as they are attractive, and the best thing about them is that they are everywhere, from the best and the biggest casinos, to the worst and the smallest.